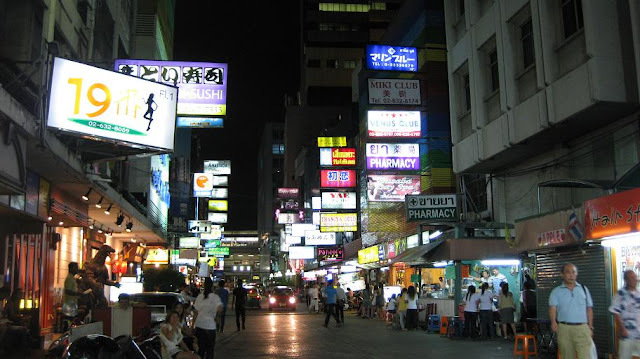 The famous Thaniya red-light lane in Bangkok, which is near the even-more-famous Phat Phong red-light lane. I received about a dozen “offers” in the short time that I spent here. This is big business in Thailand and many foreigners come here just for that. Just to be clear, I only came to Bangkok to get my Burmese visa. But I must say, the place is fascinating and is a must visit for everyone. Of course, it’s only fun to walk around here “after dark”.